REVIT BUZZ: Send for the men in White Coats! Thank you for visiting my blog. I will be posting my tips & tricks and what's hot in the world of Revit. Send for the men in White Coats! 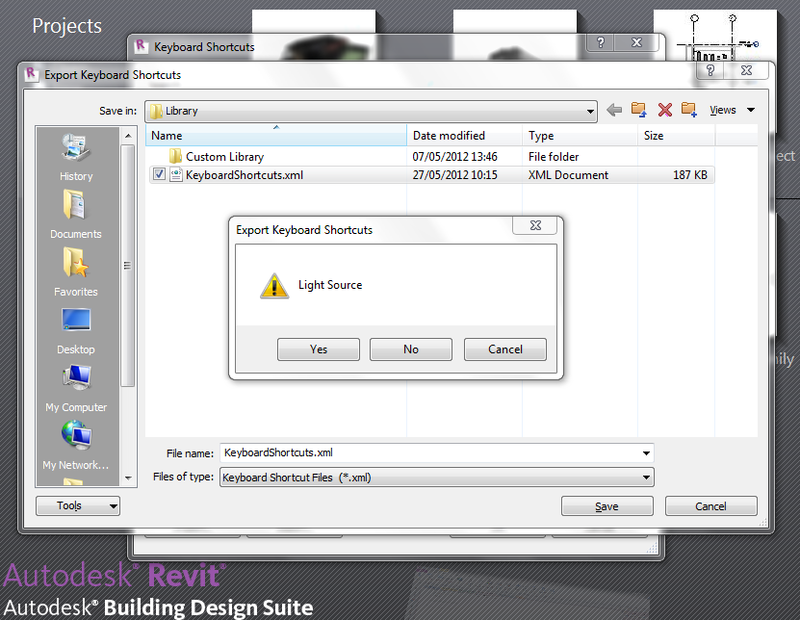 Is this just me or has Revit 2013 gone mad! Export your keyboard shortcuts and overwrite an existing file. My brain says "no, it isn't!" but my gut says "could be, go on then." Using Build 20121003_2115(x64) I get the same error. Good catch. Hope to see some good posts. I have been using Revit since 2008 and never looked back. It went swiftly from a passion to an obsession. I remember how mysterious and eccentric it seemed. Now that I am sharing my experience with collegues I realise that it's time to share with all of you. Whether you are new to Revit or a Zen master, I hope I can provide you with a few little gems ,even if it means pointing you in the direction of those who inspire me. Disclaimer - This is a personal blog expressing my own thoughts and opinions. I do not speak on behalf of anyone else. Autodesk. Any reference to Revit, Revit Architecture, Revit MEP or Revit Structure on this site is made acknowledging this ownership. Refer to Autodesk's own web site and product pages for specific trademark and copyright information. Autodesk represents a great many products and every attempt will be made to respect their ownership whenever one of these other products is mentioned on this site. Solving Room Bounding Issues–Divide & Conquer!